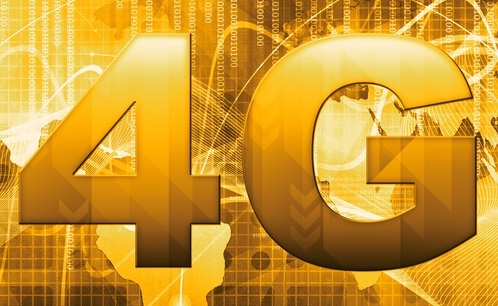 One of the most common complaints about 4G onboard superyachts is the fact that you can’t rely on 4G 100%. You depend on so many factors: how busy the network is in the port, whether signal is available at all, you lose signal when moving away from the shore, or the connection just drops out and you don’t really know why. Well, the simple answer to that is that you probably use a device that was not built to accommodate the specifics of the superyachts. Devices like Pepwave were developed for commercial use onshore, usually on the same network somewhere in the US with no roaming, good cellular networks, and proper infrastructure accommodating usual traffic in the region). Such devices have been attempted to be utilised onboard superyachts, sadly with less than average success. As a result, 4G connection those routers provide works as long as you are in the places and conditions the device was built to accommodate. And once you take the Pepwave “out of its comfort zone” you simply run into its limitations. Meridian 4G was developed specifically for use onboard superyachts. It was tested for more than two years live onboard yachts so the typical problems could be identified and solutions created. As a result, we came up with a solution that actually works on yachts, and works reliably within 40km offshore! 4G can be extremely fast. Unless you happened to be in the port of St Tropez with thousands of other sim cards trying to take the best out of the available cellular tower, right?What do you do? Well, better question is: what does your Pepwave do? Imagine you are streaming a movie. If you do this via a router with 1 sim card only chances are your movie will interrupt, freeze and, you will likely end up having to switch to the slower VSAT. The reason one sim card lets you down is simple – it kept asking for connection from the cellular tower and sometimes it got a better response, sometimes worse. If you got a Pepwave with multiple sim cards, you may think you made your connection 4 times faster? Well, not exactly. More sim cards can take more load: you can be streaming a movie via one card, your Chief Stewardess may be ordering supplies online via the other card, the owner’s wife is browsing Instagram and the kids are Skyping with their friends. All 4 cards are busy. But as you noticed, you are still streaming your movie via one sim card. And your movie still interrupts and freezes just like it did when you used a device with only 1 sim card in it. There is a much better way to use 4G to stream a movie, browse internet, Skype and Instagram at the same time. What you need to do is to simply take all these tasks and let all 4 sim cards take care of each. In simpler words, you can stream your movie utilising connections of all 4 sim cards. Then if one sim card lets you down, chances are that one or two of the other ones will not. They basically work as a team. And that is exactly what connection aggregation is, and this is what Meridian 4G device allows you to do, allowing you to get the maximum possible speed that does not fluctuate and freeze your movie. To give you an idea, we work with more than 150 superyachts including such notable boats as Eclipse, Dilbar, Pelorus, Radiant fleet, Nirvana, Musashi and many more. And those boats report an average reliable speed of 160 Mbit/s down, and 40 up. Looking to compare to a specific device/service?